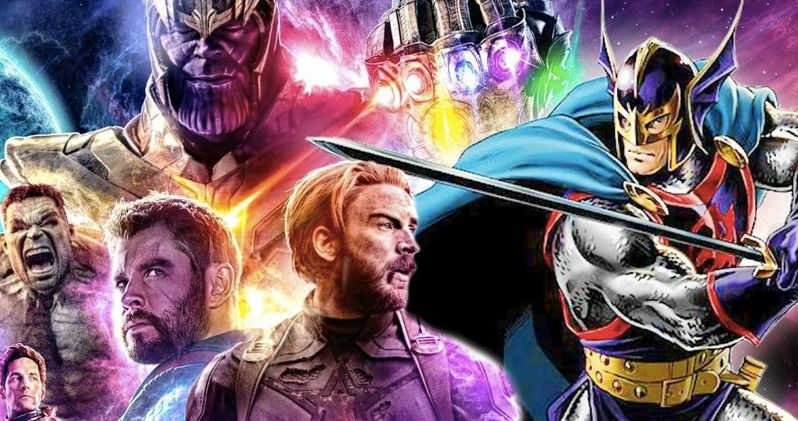 Avengers: Endgame to Introduce Marvel's Black Knight? It's beginning to look like the Black Knight may be appearing in Avengers: Endgame. Marvel Comics is preparing to launch their "True Believers" series, which are one-off re-prints of classic stories in April. These comics all have something to do with the highly anticipated sequel, but aren't obviously telling the whole story. Marvel will re-release a comic on Nebula, Thor's Stormbreaker, Thanos and Gamora, and more. However, there are two in the series that may indicate that they are about to introduce the Black Knight in the Marvel Cinematic Universe. The Ebony Blade was almost an Easter Egg for Doctor Strange, but it was cut at the last second. With Doctor Strange 2 in the works, we could end up seeing the Black Knight show up in Avengers: Endgame, or at the very least, the Ebony Blade. There have been rumors that Marvel Studios was developing a Captain Britain movie with the inclusion of the Black Knight and there have been fan theories that the Quantum Realm will somehow play a part in bringing Dane Whitman into the MCU. Obviously, Marvel Studios isn't going to put out anything giving away too much information, but these re-releases have been known to contain some interesting nuggets in the past. Both Logan and Captain America: Civil War had parts of their stories revealed in the comics released before the respective movies, which leads one to believe that Avengers: Endgame is going to have some pretty interesting twists. In addition to the "True Believers" series comics that have been announced, there are two that are simply labeled as True Believers: Classified A and B. The two aforementioned comics will be revealed at a later date, which has yet to be confirmed at this time. The two Classified reprints could contain Avengers: Endgame spoilers, which is more than likely why they have not been unveiled at this time. On the other hand, it could all just be some pretty clever marketing by Marvel Comics. With that being said, it certainly looks like Marvel Studios is getting ready to set the Black Knight up in the MCU. The Ebony Blade could be one of the factors that helps to take down Thanos, or the greater threat that we've been teased with, once and for all. While we wait to find out what happens, you can head over to Marvel for more information on the "True Believers" series.